Molly Dash Mar 11 2019 9:23 pm Like him ! Rainbow Fish Aug 31 2017 4:06 pm Very underrated actor, great voice and great poise and wonderful presence on the screen-He should be getting only the leading roles. Natalia Nov 17 2016 2:26 pm Hello there! Greetings from Russia! 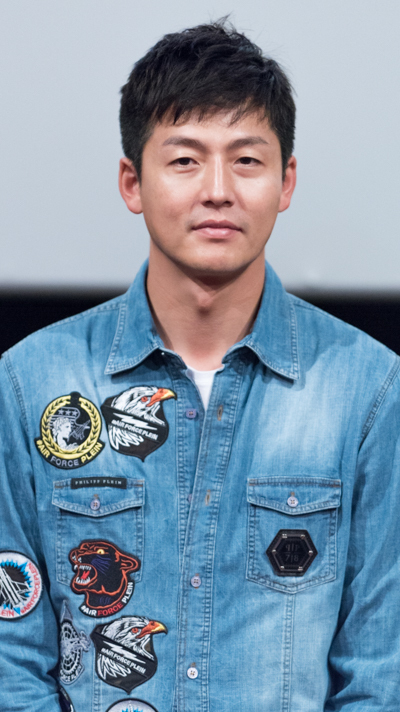 I am fond of Mr Lee Jung Jin's acting technique and acting talant, and, of course, his personality. Thank You, Lee Jung Jin, for joy You bring. JN (Singapore) Sep 07 2016 1:34 am The more you look at him at the drama series, the more you find that he is handsome, hope to see you more new drama in the future, keep it your friendly and smile face all the time!!!!!! maria teresa e. maceda Feb 18 2016 12:32 am i am a big fan of korean movies and tv series. Quyen Jan 30 2016 11:16 pm What's an real amazing actor you are! Hope to see you in the new drama in the future which makes you get the rewards for 2016 and much more. Thanks again. farah Aug 20 2015 10:42 am I really love you and your smile so sweeetttt!!! stella Jul 25 2015 11:23 pm Why did he leave Cool Kiz on the block? aizing Jun 06 2015 10:17 am Have you been married oppa? Athena May 07 2015 10:02 am Tall, white, and handsome, what would you for more? Well, not sure with the attitude and behavior since I don't him know personally. God bless Jung Jin Lee. (Sorry, can't say I love you 'coz I already have a husband who's dark and handsome) so, I'll just say good luck in everything you do!!!! kim Oct 09 2014 3:59 pm When I watch film. ..When he smile So sweet. wawa Sep 28 2014 5:20 am I love your acting in temptation. I love you LEE JUNG JIN!! Lovely Sep 04 2014 12:41 pm I love you Lee Jung Jin .I will marry you . VW Aug 30 2014 1:01 am Excellent acting Lee Jung-Jin. Your gait, smile, look and movement deeply impressed me. You are very talented, tall and handsome. This is the second Korean drama I have ever watched in my life. Your role is so outstanding that I gave up day of sleep to enjoy your performance. Thank you for producing such a deeply touching Se Yong. Wish you a bright and successful acting future! Fyotel Jul 06 2014 10:05 pm HELLOOO JUNG JIN-SHI OPPAA! i have watched all your dramas and all your movies and programs that you appear in!!!! such a great pretty actor really!!! love your acting and everything ! we're waiting for more interesting dramas from youuuuuuuuuuuu, love you. fighting!!!! You are such a hunk. You are an amazing actor. I am watching 100 Year Legacy in the US now ( Chinese channels). Keep up the good work. Best of luck in the future. LOVE YOU! Joey_0917 (girl) May 07 2014 1:14 am Hi Lee Jung-Jin, you're my favorite Korean actor :)) ... 100 year inheritance is currently showing here in the Philippines. 100 year inheritance is my only favorite korean drama that I watch.I hope you can visit here, and I hope also that Eugene Kim visit here in the Philippines. Agatha May 03 2014 9:26 am Fantastic actor, seen his work for the first time in 100 year inheritance. Did'nt realize the're such great Korean actors, now I'm hooked on korean dramas. I don't know how large an American audience there is but I'm a huge fan I just wish i could watch in actual english instead of subtitles. I hope you will capture a large audience in the U.S. Mom fan. Rohmah Apr 14 2014 11:56 pm Lee jung jin.. I love all about you, you are great actor, always support you! Fighting! lj baril Mar 26 2014 5:34 am the best asian drama a100 year legacy the best!!!!! abc Feb 20 2014 10:25 pm lee jung jin, you were great in hundred year inheritance, literally and figuratively. it makes one want to find that guy (you played) and marry him. annie Jan 22 2014 9:59 am hi lee jung jin, i'm a biggest fan of yours! i love your acting i watched your movie Pieta it's very moving and great acting. I'm watched 3 of your drama series and im going to watch more. Hope you have future shows/visit here in California. Congratulations on your new award as best actor in A Hundred Years Inheritance and More Power on your upcoming Movies and Drama Series:-).. "FIGHTING"
annie Jan 22 2014 9:55 am hi lee jung jin, i'm a biggest fan of yours! i love your acting i watched your movie Pieta it's very moving and great acting. I'm watching 3 of your drama series and im still watching more. Hope you have shows here in California. Congratulations on your new award as best actir in Shining Inheritance and More Power on your upcoming mobies and Drama Series:-).. "FIGHTING"
michelle Jan 09 2014 2:05 am hello lee jung jin im your avid fan... i love your characters in 100 year legacy you are very very much handsome.hope you visit philippines.and hope to see you in person...goodluck..more careers to come with eugene..
Mimi Jan 08 2014 9:34 am Hello Lee Jung Jin im your biggest fan....i love your character in 100 year legacy very romantic...i hope more drama/movie to come with eugene....please visit the Philippines. more power..
Lhiz Jan 05 2014 4:02 am Lee Jung-Jin is an actor that you will respect and admire at the same time. YOU did very well on your recent tv series Hundred Year Inheritance.... you are amazing!!!!! I hope you do another tv series soon. firenze renze Nov 12 2013 4:45 am very talented and fantastic actor! i saw him first in lover story in harvard, my Mom really admired him, since then i followed his other drama series. i hope he gets to make a lot more romantic-love story dramas series and movies....! FIGHTING!!! more POWER to your showbiz profession! hotmama Nov 05 2013 9:35 am hi! jung jin ssi, i relly really like all about you i know that 12 yrs older than you but i cant help my sekf to fall for you. saranghe yo!!!!! khimberly Oct 01 2013 2:43 am awesome! Tram Sep 26 2013 10:58 pm Lee Jung-Jin, you were great in 100 year inheritance! Hope to see you and Eugene in more dramas! Fanai Aug 19 2013 8:46 am Hi..Jung Jin.. I love to watch your drama 100 Year Inheritance, you are great actor..handsome and cool guy and I like your hairstyle. I am your big fan ..
KDA Aug 05 2013 8:47 am I've been watching Love Story in Harvard and 100 Year Inheritance - about 10 years apart in production and light years apart in quality. In the former, Lee Jung-Jin expresses emotions with a subtlety that makes his flawed character utterly believable but with whom we can sympathise through every mistaken move. The direction of 100 Year Inheritance is poor and the result is an uneven series with few scenes making sufficient use of some top-level actors, including Lee Jung-Jin. He certainly looks better as the story progresses - different hair style, fewer creases in his forehead, better complexion. We are experiencing his rehabilitation and development through appearance (well done to the costume and make-up depts.) but not really through the rather two-dimensional character. I also put this down to poor direction as he has clearly shown acting ability elsewhere. In any case, please find something better next time, Lee Jung-Jin. Radhika Aug 03 2013 9:39 pm He is toooooo handsome & acts superbly! gray Jul 16 2013 12:22 pm i always remember Lee Jung Jin he's always the guy who model Calvin Klien before,the six pack is perfect! Cres Jun 17 2013 3:18 pm I like you Lee Jung-Jin a lot!!! I love you on that tv series "a hundred year's inheritance". I'm so hooked up that I wish there's an English translation right away. Keep up the good work. I wish I can meet you in person someday (here in the States or when I go to Korea). Take care!!! MILEY May 21 2013 4:10 am i came to watch love story in harvard because of kim rae won and ended liking you too.since then i'd been watching all your dramas.right now i'm watching hundred years of inheritance and i love you dont cry.you're such a brilliant actor and your chemistry with eugene is awesome .hope to see you in more dramas when one hundred years is over. jo May 03 2013 7:46 pm Love Jung Jin and Eugene in Hundred Years Inheritance. Their onscreen chemistry is brilliant. Whenever Jung Jin looks at Eugene, there's a special quality in has eyes/expression that simply melts your heart. Hope they''ll be cast together in more drama serials - as lovey dovies of course (happy ending). Absolutely adores this new onscreen couple - unfortunately not real life as Eugene is already married. Wish Eugene happiness in her real life but would love to see both of them teaming up again after HYI. hae Mar 24 2013 9:27 am You are a great handsome actor and very flexible. Like in Fugitive your role and look is so different from 100 years inheritance. I really really love to watch you. In 100 yrs, don't be fooled by Mominlaw and family. Hope you really love Chaewon and protect and marry her. Nisha Mar 05 2013 2:15 am Jeong Jin you rock in inheritance......ur new fan. mml Feb 25 2013 1:13 am I have finished watching a hundred years inheritance this drama from episode 1 to 16. Noticed that your acting skill proved and showed a further improvement in episode 16. Episode 16 looks liked , you are a leading actor as "Hero Romance Drama". mml Feb 25 2013 12:51 am I have finished watching a hundred years inheritance this drama from episode 1 to 16 . Your acting skill showed and improved tremendously in episode 16. In episode 16, you proved yourself as leading acting of "Hero Romance Drama". To continue for even better, you need to try ways to restrict Eugene to stay away from the ex-husband for less less trouble without letting Eugene realised . julie Feb 05 2013 11:33 am i really like your drama hundred years lots ... you are great actor..and cool , handsome guy :D i am your big fan ..
Fatemeh Oct 02 2012 4:23 am Good acting skills. liked him in Fugitive! Dolphina Sep 14 2012 12:49 am Wow! You are HOT! Also, a great actor. yamila2505 Jun 08 2012 10:18 pm will always support you. Agate94 Mar 10 2011 3:44 am I like you since I watched the fugitive :D I wonder how I could get your old films... (well, I watch 9 end 2 outs after fugitive and I love it too, so, I'm looking for more) Keep up the good job. Sassygirl989 Feb 02 2011 9:35 am Lee-u-suek who freakin' care if you have had a bad day! Dont post if you dont have any good thing to say! FREAK! Lee-u-suek Nov 19 2010 12:13 am i'm sorry for my bad comment i had a bad day, you're a great actor keep up the good work and again i'm very sorry for the comment. Lee-u-suek Nov 10 2010 8:13 am Man your act in the fugitive was disgusting and ugly. Your sweating for most of the time! And your scene pretty much ruin the whole show. Trace Jul 26 2009 3:46 pm So awesome in Love Story in Harvard. I'm watching I Love You, Don't Cry right now - so far it's wonderful as well.